The Shed-Building Process, Step by Step | Wright's Shed Co. The shed-building process is an exciting time. Homeowners get to pick out the major design themes and the details that will help them create the custom shed they envision. If you’re looking for convenience, aesthetics and longevity, look nowhere else. Wright’s Sheds has you covered. Before any construction can begin, you must decide on the right style of shed for you. Would you prefer a tall roof with plenty of overhead space? Would you like a porch on the front? From paint color to frame design, you have complete control over the customization of your shed. We can build sheds that mimic your home’s architecture, or we can start from scratch and create a whole new design just for you. Once you have an idea about the details of your project, it’s time to decide whether you’d like to take advantage of our financing offers. We offer homeowners convenient ways to pay for their new shed that don’t take too much cash flow away from your monthly budget. It’s a manageable way to get the shed you need and want right now without paying more than you have to upfront. Next, think about where you’d like to place your shed. This is important for our build team to know, and it will help you make some of the final design decisions when you can picture where the shed will be in your yard. 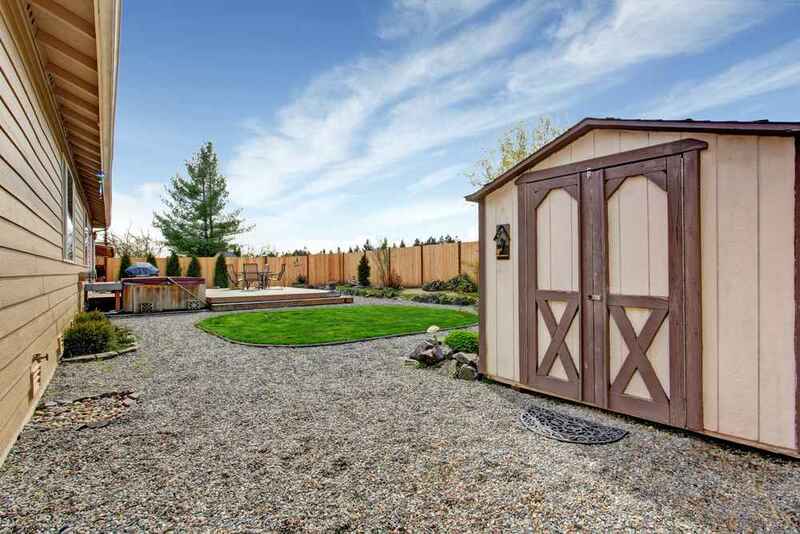 The location of your shed may also determine whether you need a building permit. For the most part, if your shed is 200 square feet or less, a permit likely isn’t necessary. However, it’s important to check with your town, because every city has different rules and regulations, and we recommend erring on the side of caution. We can help supply the paperwork you will need for fast permit approval. Once everything is in order and we’ve completed our pre-build construction, we’re ready to build your shed. We typically finish in one day. Once your shed is in place, Wright’s Sheds can add a ramp for easy access. This is helpful for homeowners who’d like to store their lawnmowers or any other heavy equipment inside their new shed. When you’ve made it to the end of the shed-building process, it’s so gratifying to see your new outbuilding standing strong and tall, ready to protect your important belongings from the elements and provide you with extra storage space. For the convenience and beauty of a new backyard shed, trust Wright’s Sheds for the custom solution you’re looking for!